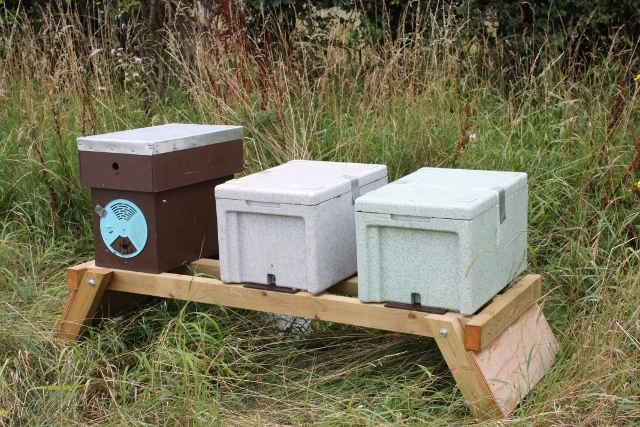 Our double hive stands are made by ourselves using pressure treated timber and come fully assembled. 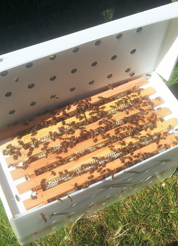 They have fold in legs which makes transporting and storing them really easy. 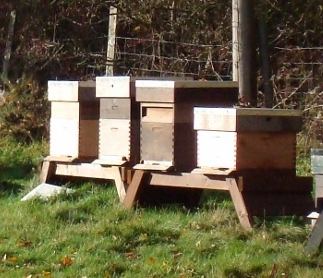 They will hold 2 full size hives giving plenty of room in between them alternatively, you could use the stand to hold 3 nucs. I have put a couple of photos on so you can see. 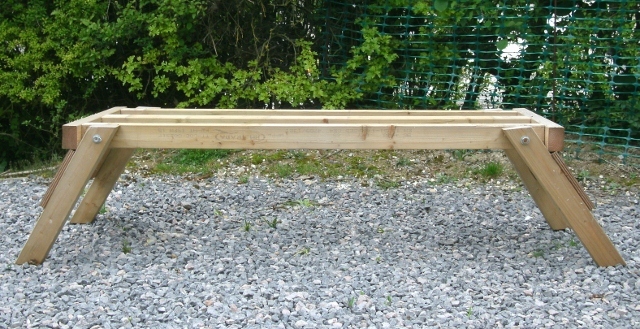 Approximate Size L 57" x W 18" x H 16.5", the width at the ends where the legs fold is 22". Due to the weight and size orders put through the internet shop will be for collection only from Headley or Andover. 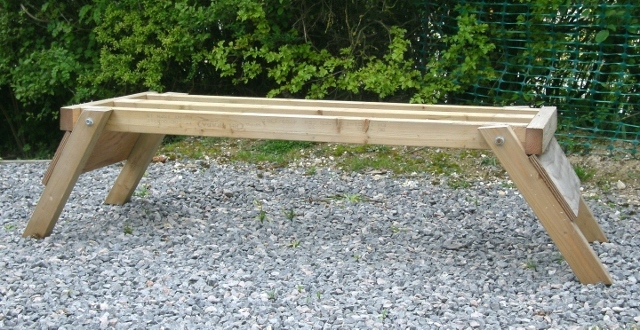 Once we receive your order we will phone or email you to organise a collection time. If you require your stand to be delivered please email me, giving your postcode and first line of your address and I will email back a delivery cost.